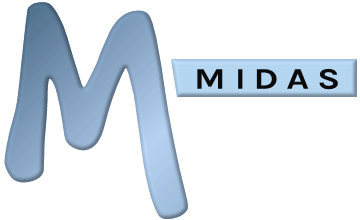 The separate client and organization fields that were present in earlier versions of our MIDAS software have been combined into a single, unified, "client" field in v4, which displays both client and organization names. This change was made partly to simplify the booking screen, as many customers didn't require both a client and an organization field, as they tended to use just one or the other. So a single, unified field allows users to attach a booking to just a client, an organization, or both! Secondly, the change relates to the different way client data is stored in MIDAS v4. However, no functionality has been lost - you can still begin typing in a few letters into the unified client field, and a list of existing client/organizations will be shown, from which you can select, or you can manually type in the name of a new client/organization into this field to add a new entry to the database. Remember, too, that you can add your own custom fields to your booking screen, should you wish to capture additional information not covered by the default booking fields.